This year has seen its fair share of 'fashion' weddings. Models Emma Leth, Emily Ratajkowski, Vanessa Paradis and Shanina Shaik have all walked down the aisle already in 2018, providing some serious inspiration for brides looking to do things their own stylish way - and now we've one more to add to the list. 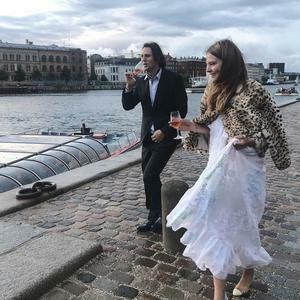 Danish model Caroline Brasch tied the knot with her fiancé Frederik Bille Brahe this weekend on the banks of the canal in the bride's hometown of Copenhagen - and had no less than 10 bridesmaids by her side as she said her 'I do's. 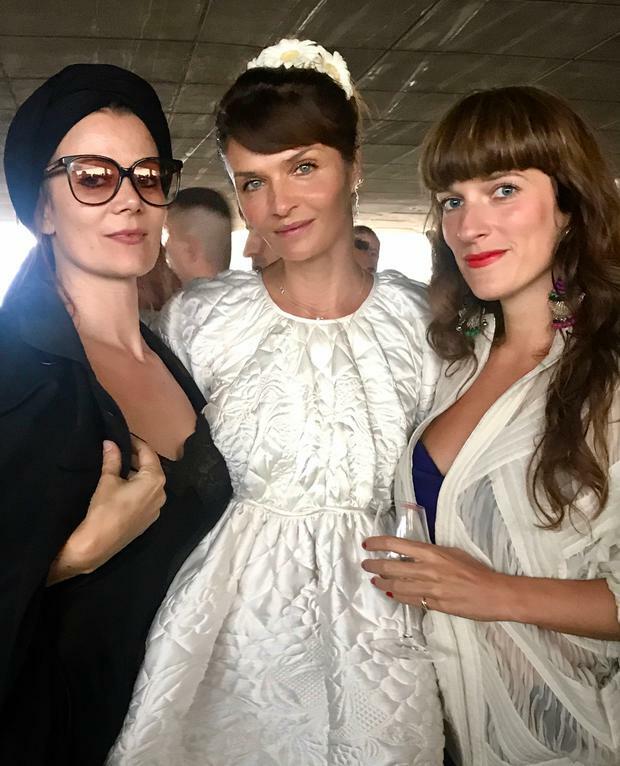 Bridesmaids for the Elite Agency model included close friend, supermodel Helena Christensen, who called it an 'honour' to be chosen as a bridesmaid for the day. 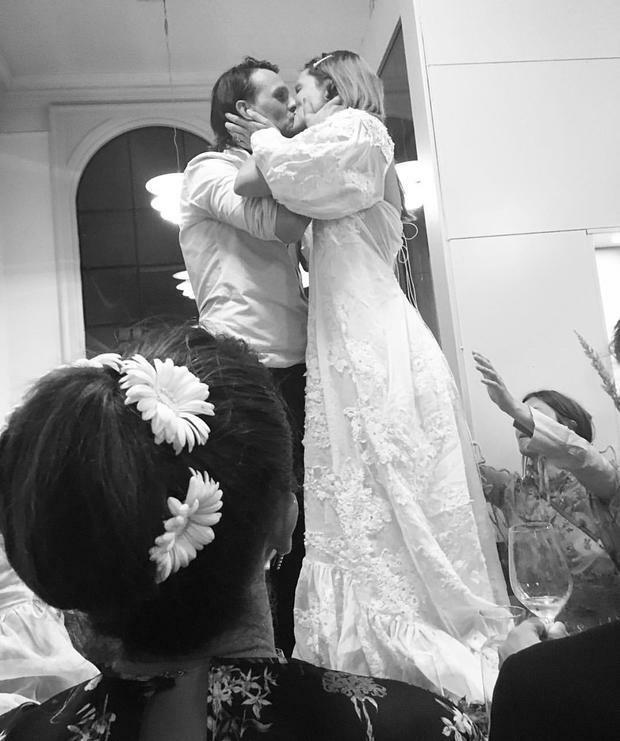 "Such an honor to be a bridesmaid, sweet Caroline, at your wedding to Frederik" Helena wrote on Instagram. "What a magical evening, so much love, tenderness and fun. Wishing you both endless love and devotion." The couple's day involved a boat ride across the water - with full bridal party on board - before they exchanged vows. Caroline and her maids all wore gowns by Danish designer Cecilie Bahnsen - the bride in a billowing-sleeved custom design with floral lace embroidery and pretty ruffle hem, and her maids in similarly folksy styles with big puffy sleeves. All 10 bridesmaids carried a single giant sunflower, while the bride held a cascading bouquet of bright summer blooms as she made her way up the aisle. "I love the dresses! So beautiful in their simplicity and modesty," a fan of the photos wrote on Instagram adding; "Here in Miami weddings are starting to look like Kardashian birthday parties." Diana Ross's son just had the ultimate bohemian wedding - with Ashlee Simpson as a bridesmaid!